Uber, one of the biggest ride hailing apps in the U.S., announced on Tuesday its new pilot program to get drivers to switch over to the more environmentally friendly, electric cars. The pilot program, called EV Champions Initiative, plans to deliver at least 5 million EV rides over the next year. There were around 4 million trips by Uber drivers in electric cars in the US and Canada in 2017, the company says. The pilot program was launched in seven cities — Austin, Los Angeles, Montreal, Sacramento, San diego, San Francisco, and Seattle. “At Uber, we’re committed to facilitating reliable transportation for everyone, everywhere and making our cities more efficient and less reliant on personal car ownership. One important part of realizing this vision is increasing electrical vehicle (EV) adoption.” said Uber in a press release. The pilot program plans to reach its goal by providing incentives, which differ based on the location you are driving in, for EV owners. Uber drivers in San Diego and San Francisco, for example, will be given an extra dollar per ride bonus for using plug-in hybrids or full battery electric vehicles, up to $20 a week. In Sacramento, the local publicly owned utility, SMUD, will be providing $1.25 per trip completed in a zero-emission vehicle, which Uber will round up to $1.50. Drivers will also be able to access SMUD’s DC fast charging network for free. In Los Angeles, EV owners will not receive payout bonuses. Instead, they will receive educational assistance, such as informing drivers of EV ownership benefits, and state rebates. 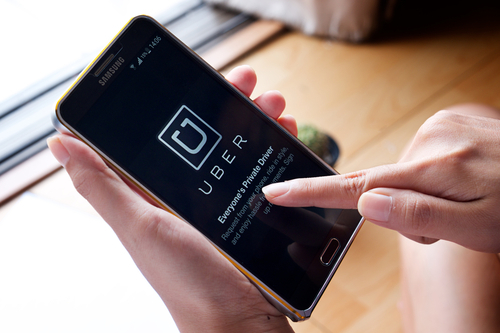 According to a press release, Uber will be introducing a 30 minute trip notification for drivers so that they can plan accordingly and will be notifying riders when they’ve been paired with an EV driver. Adam Gromis, Global Lead for Sustainability and Environmental Impact at Uber, said that as cities move toward more sustainable transportation, companies like Uber need to improve their environmental friendliness.